Chandler Sterling founded the California Beard Company in 2016. A cartographer by training but a lover of beards by birth he became frustrated by the cosmetics industry after searching for a high-quality natural beard oil. Fed up with being unable to find a suitable beard oil, and being a DIYer at heart, he set out to create his own recipe that would meet his high standards. The goal was to create something simple, only containing materials that came from the earth, that could mimic a product from the era before cosmetics were synthesized and contained potentially harmful chemicals. The result of this experiment led to California Beard Company’s Original Beard Oil recipe. After months of serious use, he realized that this product needed to be shared with the world, and it’s been a wild ride ever since. Roderick Smith's decision to call himself an impressionist comes from the story of Cézanne asking Pissarro about the meaning of impressionism. "An impressionist is someone who never paints the same picture twice," responded Pissarro. "Life is in constant motion and reiteration is not an option," Roderick said. "It is all fleeting before our eyes. I never know if I will ever be able to do another painting." My name is Tina Rodas and I am the creator of Hi Tree. I make adorable textiles and handmade toys using sustainable materials. I do all design and production myself out of my magical mountain home in the city of Los Angeles. Every item you see here on my website was hand made by me. Hi Tree was created quite by accident in 2008 while I was a stay at home mom looking for a way use my creative abilities. During that time I would stay up late testing the limits of my sewing machine and experimenting with fabrics until I came up with the first of my tree designs, the Cypress Tree. When I'm not working I love to treasure hunt at the thrift store, work on fun projects with my daughter Hazel and spend time with those dearest to me. I am very happy to have managed to make a business doing what I love most, creating. Howdy! Ghoshee is a brand new flair company based out of Los Angeles. Follow Ghoshee on instagram, @ghoshee, for all sorts of inspiration, product insights and specials! What's a Ghoshee? Ghoshee is named for my cats, Ghost and Banshee. They are the kindest, cutest, coolest cats alive and my daily inspiration to be a better being. You'd like them. L.A. based Jewelry Designer. Lisa Ila Rocha created in 1999. Fine Jewelry inspired by Mexican and Native American culture. Every Ilaments jewelry piece tells a story. Lisa was nominated as a Dama de Lincoln for Lincoln Motor Co. & has been featured in InStyle, Latina Cosmo, & Teen Vogue magazines. Alfie's Look products are inspired by me! I'm a black pug, born in Big Bear, CA in 2016. My human mama and papa brought me to my forever home in Los Angeles when I was 9 weeks old, and I've been sporting the bow tie look ever since. Alfie's Look products are handmade to order by my mama, Olivia. She’s a full time public middle school teacher in Compton, Los Angeles, but has always had a passion for art, painting, knitting, photography, crafting, and many other hobbies as a way to decompress from the stresses of teaching. During summer 2017, mama took on a new hobby...sewing, and she began making my bow ties. Teaching is mama’s #1 passion and priority, but after getting many inquiries about my bow ties, collars, and leashes, she decided to sell them (and we all know teachers can use a little extra supplemental income). I give my paw of approval on all products and I'm always close by supervising, usually at mama's feet while she sews away. Please allow mama 1-2 weeks to handcraft your individual order before shipping it out. All products are handmade in Highland Park, Los Angeles, using high quality fabrics and materials that are meant to be long lasting. Handmade jewelry using sterling silver, gold, precious and semi precious stones. Wire wrapped and soldered all be me, Gracie! I am an artist and designer living and working in Los Angeles with my husband and two darling daughters. My creative career started after studying Fashion Design, and ever since then I have followed my love for creating beautiful objects. I love working with all different types of materials to create beautiful pieces. It brings me much happiness to design and create my jewelry. I hope when you wear it, that energy wears onto you. Punctuate your wardrobe! Parlez Vous Crochet creates versatile,trendy and bohemian style pieces for today’s free spirited individual. Due to the hand-made nature of crochet items, each item will vary slightly, and no two items will look exactly alike. Artist, Designer, Stylist, + Kittie Savior with a love for beautiful things that tell a story. I create limited edition and one-of-a-kind Jewelry, Clothing, + Home Designs, locally in my Los Angeles Studio. I use a wide range of materials including 14k + 18k gold, gold fill, sterling silver, brass, bronze, precious and semi precious gemstones, recycled leather, natural found objects, antique and vintage pieces. I specialize in custom work including engagement + wedding rings. Jewelry should feel personal + special. My other passion is Animal Rescue, specifically homeless cats + kittens in need in Los Angeles. 3% of all sales benefit Kittie Komittee felines in need. Inspire compassion. Share Creativity. See beauty everywhere. Pop artist from Boyle heights currently living in Highland park spreading love and happiness through my art work. Providing prints, stickers , canvases and accessories for all. Whimsical goods with an edge from Glendale, California. Versatile accessories for home, body, and on the go. 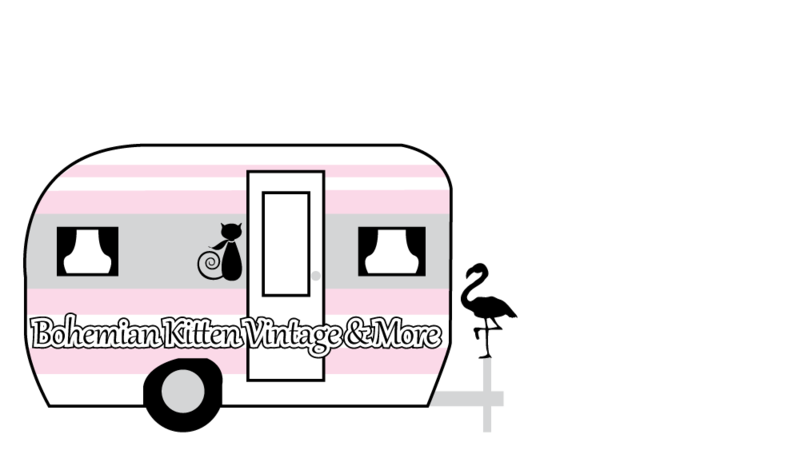 Bohemian Kitten Vintage & More is a mobile boutique run out of the cutest darn, 1964 fully functioning (yes, we camp in it too) pink and white vintage camper. Specializing in eclectic vintage and contemporary clothing, shoes, and accessories. Always on a quest to find the most unique, trailblazing collection of treasures, we are addicted to attaining and bringing you the most unique one-of-a-kind finds. The boutique is stocked weekly with curated collection of both vintage and contemporary clothing, accessories, and custom made items. Our goal is to make you stand out and steal an entrance, no cookie cutter styles here, leave that for the mall. WE want you to grab all the attention, your style is an extension of your personality, so why not let us bring out the real you! ScavengerLA is a collaboration between Megan of MWM Designs and Sarah of New Wave Princess. We create jewelry, accessories and clothing for chic bandits who like cool stuff. Our background in art and jewelry design mixed with our love of fashion really comes through in our unique designs. We use a combination of new and reclaimed or re-purposed materials to make our truly one of a kind "scavenged" items that reflect out punk rock chic aesthetic. We have great gifts for yourself and others! All handmade in NELA. 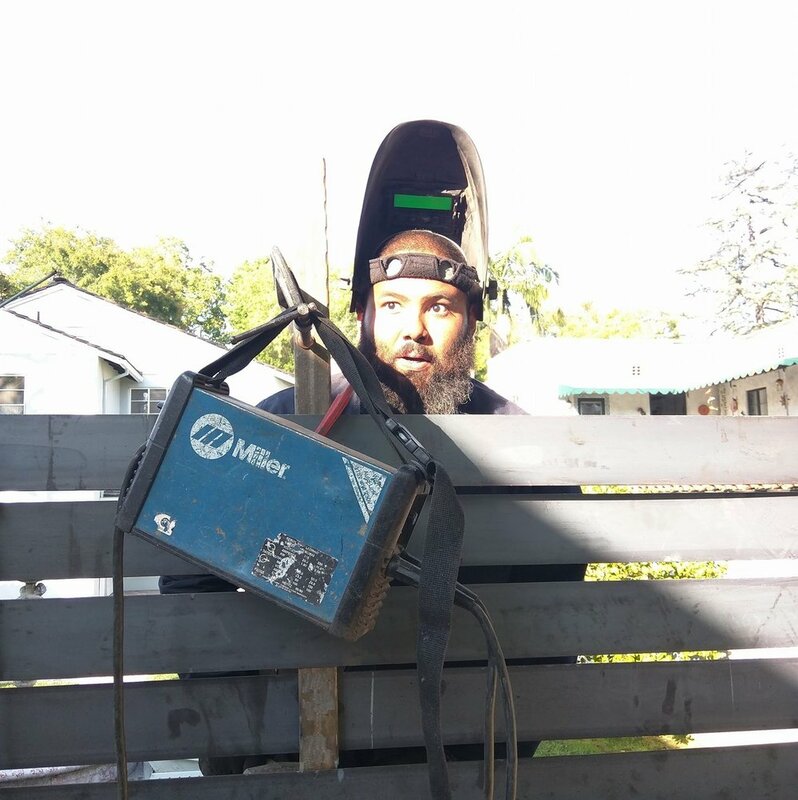 Offering welding services for home owners. General repairs custom gates, fencing security window bars, doors and furniture. Selling handmade culture clothing, jewelry and accessories. Gumball machines for your favorite teams! I am a wood-centric multi-material sculptor. I create multi-axis wood forms that I embellish with other materials such as glass, metal, polymer clay & the odd bowling ball. I define my sculpture as "semi-abstract narrative art" where what you see is story or title-driven. My main tool of choice in this process is the lathe, where I use multi-axis techniques to make shapes that don't occur with traditional turning practices...the drama of wood chips flying off a chunk of wood held precariously on the lathe is intoxicating to me. In addition, I almost always use a flame process, whether it’s the subtlety of pyrography or the brute force of a propane torch before adding other materials & layers of color. Cactaceae is curated vintage and recycled apparel. We source our goods from across the US. We are a mom & daughter duo selling one-of-a-kind jewelry pieces and accessories for little ones. 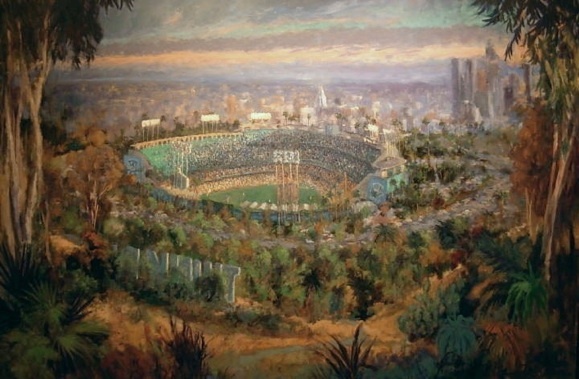 Our products & handcrafted goods are designed & produced in L.A. Our merchandise has deep roots in music, art, fashion, barrio & beach culture combined with our unique diversity, and our blazing sense of adventure. Handcrafted with gold, silver and gemstones & intaglio engraving. I'm a Los Angeles-based designer, illustrator and artist. While I've focused primarily on graphic design in my professional life, I've also done illustration, pattern design, product design, interior design and creative writing. I co-founded and owned Grow Inc., a company that designed, manufactured and sold kids’ clothing, bedding and other products both retail and wholesale. I invented and sold a breastfeeding support pillow (branded as Nuzzle, then Honeysuckle), and I also designed patterns and products for CB2, Crate&Barrel's modern retail offshoot. We sell hip and modern kids clothing and accessories. I'm a local artist/musician raised in Highland Park, specializing in lowbrow pop surrealist cartoons. I sell hand drawn, original pieces.